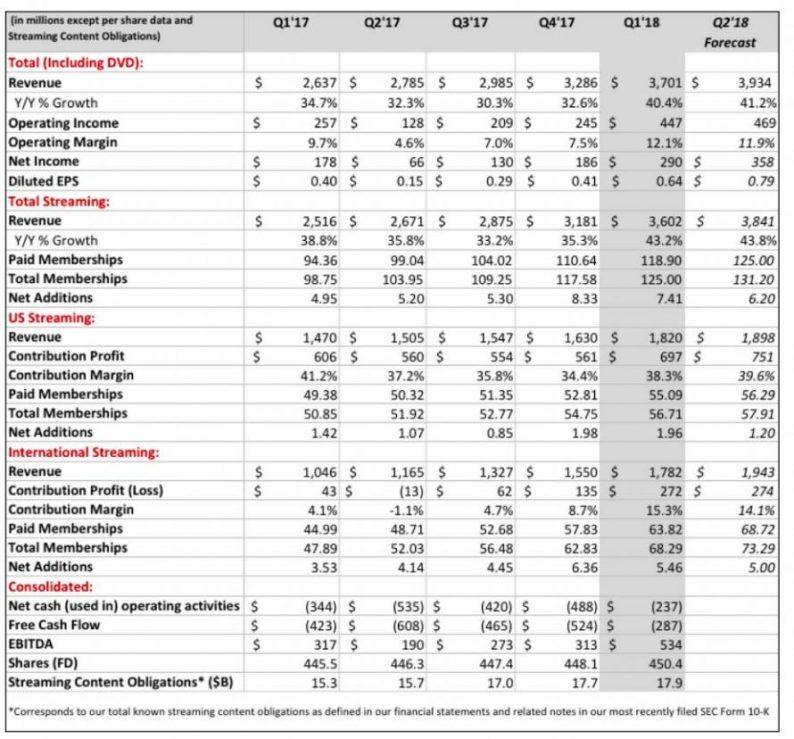 Meanwhile, Netflix’ Q2 2018 outlook also blew out expectations, with the company now expecting Q2 net streaming adds of 6.2 million (1.2 MM in the US and 5.00 MM internationally) well above the consensus estimate of 4.83 million, although this will come at a cost: Netflix still expect to burn between $3 and $4 billion in cash in 2018. NFLX also expects $3.934 billion in Q1 revenue, also above the consensus estimate of $3.80 billion, generating EPS of 63 cents, just below the Wall Street consensus of 65 cents. And while investors are focusing on the impressive subscriber adds, one thing investors will surely focus on is the company’s content spend for next year: having previously said they would spend $7 billion, they are raising that by as much as a $500 million on the low-end forecasting that “we’ll spend $7.5-8 billion on content on a P&L basis in 2018.” The good news: this is the same as the range unveiled last quarter, so it won’t come as too big of a surprise. Will This Be An Egg-cellent Easter For Netflix? Netflix Shares Up Ahead Of Earnings, But Are Investors Ignoring A Slew Of Headwinds?